Natural Pawz Celebrates the Opening of their Newest Location in the Heights with a Day of Fun for People and Their Pets! Celebration Includes Haunting Hounds Howl’oween Costume Contest and the Natural Pawz for the Cauze donation drive to benefit homeless animals at BARC. location at 514 West 19th Street in Houston’s Heights. The fun begins at 10 a.m. with a ribbon cutting ceremony followed by fido-friendly festivities that include BARC mobile adoptions, interactive doggie games, in-store give-a-ways, free pet treats, product sampling and more! Additionally, the Haunting Hounds Howl’oween Costume Contest and a special donation drive, Natural Pawz for the Cauze, will raise money and supplies to benefit the animals at Houston’s city animal shelter BARC. You can help fill the Natural Pawz truck with goodies for the animals by bringing new and gently used items to the grand opening event or to a store near to you. Needed supplies include new or used towels or small blankets; newspapers; sturdy, washable dog toys; interactive and washable cat toys; natural rawhide chews; natural dog and cat treats; quality canned and dry cat and dog food; Advantage and Capstar flea and tick control; shampoos; and leashes and collars, to name a few. A complete list of supplies will be available at each Natural Pawz location along with a list of products available in each store that can be purchased and donated back to the Cauze. Looking for a chance to give your pup’s Halloween costume a spin? The Haunting Hounds Howl’oween Costume Contest is the perfect opportunity to let your pooch strut their stuff down the catwalk to compete for prizes and bragging rights at the dog park while helping other animals in need. The $5 entry fee will directly benefit Friends of BARC’s Trey’s Fund, which provides additional resources to care for the animals at BARC that need extra attention before being adopted. Celebrity judges will be on hand to choose the coolest costumed canines and crown the winners. Natural Pawz, owned by husband and wife team Biff Picone and Nadine Joli-Coeur, began in 2005 as a result of one of their own pet’s terrible allergies. 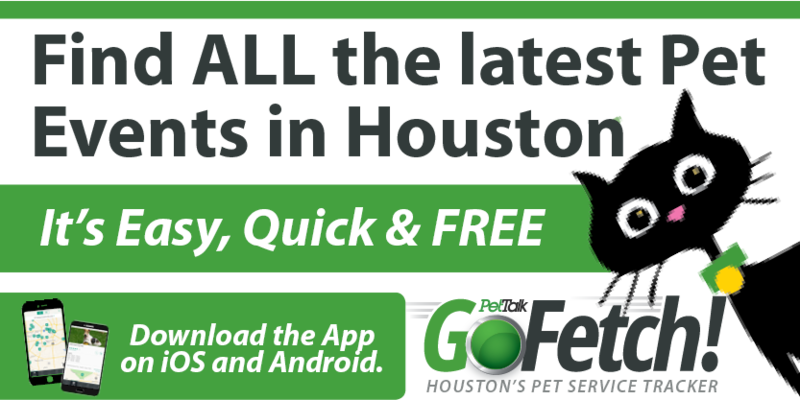 Natural Pawz has been recognized nationally and locally as a leading retailer in natural pet care products and was most recently named Houston’s #1 Pet Supplier in the 2010 Click2Houston’s Best Contest. Whether your pet is a kitten or a puppy, in the prime of life, or enjoying their golden years, Natural Pawz has the perfect selection of products to keep them healthy and happy. Additional locations in the Houston area include: The Woodlands (PineCroft, Sterling Ridge Centers), West University, Tanglewood, Sugar Land and Tomball. To learn more about Natural Pawz, the Heights grand opening celebration or to learn more about how you can benefit the animals at BARC, visit www.naturalpawz.com or call (713) 864- 4777.